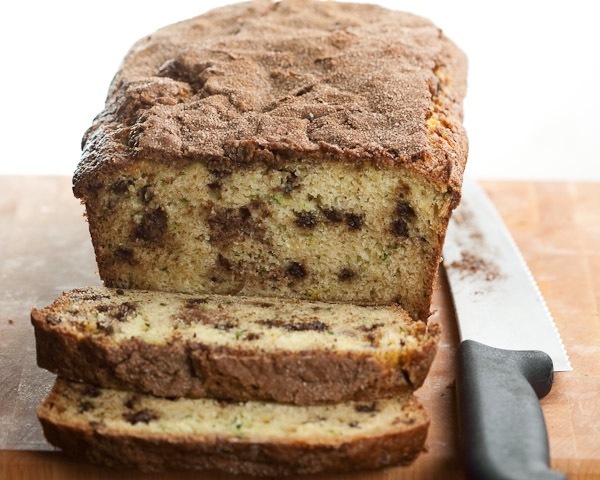 I’ve certainly eaten zucchini bread before, but I don’t think I’ve ever personally grated a zucchini. I was a little surprised by how moist it is. As I can smell the aromas coming from the oven, I’m guessing the moistness will carry over to the loaf itself. Also, the orange zest adds a great smell and taste. Admittedly, I licked the bowl…I just know this bread is going to be amazing! 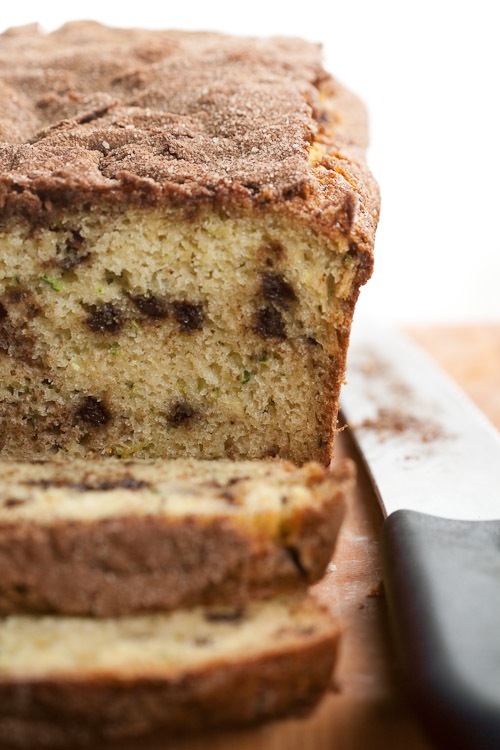 There are many recipes for zucchini bread or muffins out there. I liked this one; it seemed straight forward and it included chocolate chips, which make everything better. Heat oven to 350 degrees. Grease and flour a loaf pan. In a medium mixing bowl, sift together flour, baking powder, baking soda and salt; whisk in 1 1/4 cups sugar and chocolate chips until combined. In a large mixing bowl, whisk together eggs until combined; add yogurt, oil, vanilla, orange zest and zucchini until well combined. Stir in dry ingredients until just combined. Stir together additional 3 tablespoons sugar and cinnamon until combined. 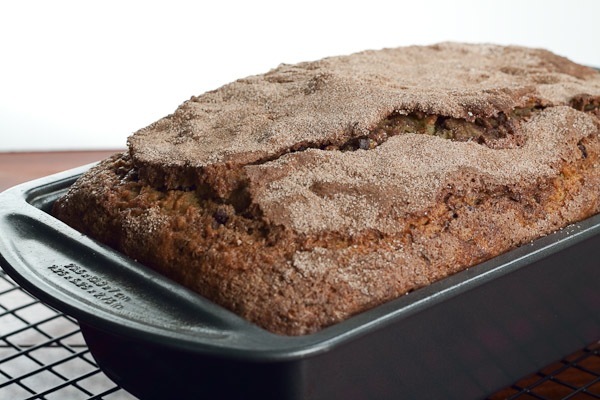 Sprinkle half over the top of the surface; using a knife, gently swirl cinnamon-sugar into bread. Sprinkle the additional cinnamon-sugar over the top. Bake for 1 hour to 1 hour 10 minutes or until a toothpick comes out clean. Cover bread with foil if it gets too brown. Cool 10 minutes in pan. Remove loaf from pan and cool completely on wire rack.